I don’t do recommendations of music often, which is strange because I am a music fanatic who vigorously writes, curates, studies and follows music. My tastes vary from good to so-bad-it’s-good, classic to current, experimental to by-the-rules. I especially love rare music, weird music and groundbreaking music. As someone with a lifelong blue streak, I also adore music that is richly, sweetly sad and introspective. Peggy Lee’s singing of Leiber & Stoller’s music on “Mirrors” is just that. Many people who know rare music know “Is That All There Is?” as a hidden gem of seen-it-all shoulder shrugging and a “let’s party anyway” attitude. I sing it in my act, and there’s a video of Peggy singing it at the bottom of this post… LOVE that song. It inspired me to seek out the album, “Mirrors”, which is surprisingly rare and hard to find. To me, the writing and performance on “Mirrors” is a masterwork giving a haunting and beautiful peek inside the mind and soul of a woman who has “been through it”. She sings about things that are sad or awful, sometimes wistfully, sometimes with an aurally arched eyebrow, sometimes with a smile and sometimes she just sounds like she’s drugged and deep inside her own head. So incredible. The CD’s available on Amazon are rare and expensive, but I’m sure you can find these songs on YouTube or elsewhere used to add them to your collection! “Is That All There Is?” – Hilarious shrug at some of the worst moments of life while raising a drink and dancing. “Ready to Begin Again” – She talks about putting on her wig, putting her teeth back in and getting ready to face the world, ha ha. “Some Cats Know” – She talks about how some guys just know how to “do” life. “I’ve Got Them Feelin’ Too Good Today Blues” – Depressives will identify with this song. She thinks there’s something wrong if she feels too good. 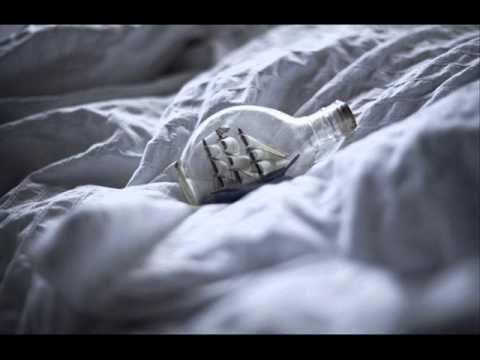 “A Little White Ship” – INCREDIBLE, beautiful song about how her bed is like a little white ship she sails away on. Dreamy, drugged sounding. “Tango” – A straight tango, followed by a spoken word poem, followed by a song that seemed to be about a failing romance to me at first. It turns out that this song references the murder of actor Ramón Novarro! “Professor Hauptmann`s Performing Dogs” – A silly circus-themed song about performing dogs. I don’t know if it means anything beyond that, but it’s fun and Peggy delivers something this frothy with surprising power. “The Case of M.J.” – This seems to be about a little girl who was abused somehow. “Say It” – A fraught, tense piano and voice meditation begging her imperfect lover to say he loves her. “Longings for a Simpler Time” – She wistfully remembers “the good old days”.